Clat 2018 exam is very close. Students who want to make a better career in Law field must have chosen their choice of institute or coaching for preparation of Clat 2018 exam. Aspirants of clat must know the syllabus and other useful information along with attempting mock tests for cracking Clat. Have you filled up Clat 2018 form? Do you know the tricks and techniques needed ? Do you have the right study material and are you in contact with the perfect and experienced faculty ? If yes, then we congratulate you and our best wishes are with you for Success in Clat 2018. If no, then you need to consult our coordinator at Clat Edge in boring road branch in Patna, Bihar. Here you can find best faculties and mentors who are from renowned colleges and universities in India and you can see the actual performance of the institute in Clat exams in previous years. We at, Clat Edge Patna, provide question papers of previous years exams as the reference material to our students which makes them understand the pattern of the exam and it definitely helps in cracking the entrance exam. We provide every updated notifications and details to our Clat entrance aspirant student here in Patna. Our priority is to let students know every useful bit of knowledge and tips who want entrance in top law colleges or universities in India. Some students are mistaken that they can get into Clat without coaching. But they are wrong. They are wasting their valuable time and efforts. A perfect mentor and coach can save your time and ensure the success in CLAT. 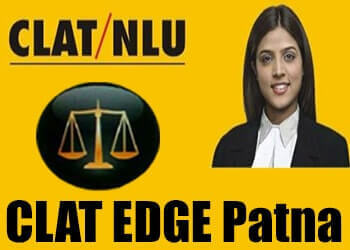 So if you wanna success in Clat and get into Law profession, just join Clat Edge Patna in Boring road Patna and we assure you your dream come true.